It’s nearly time!! 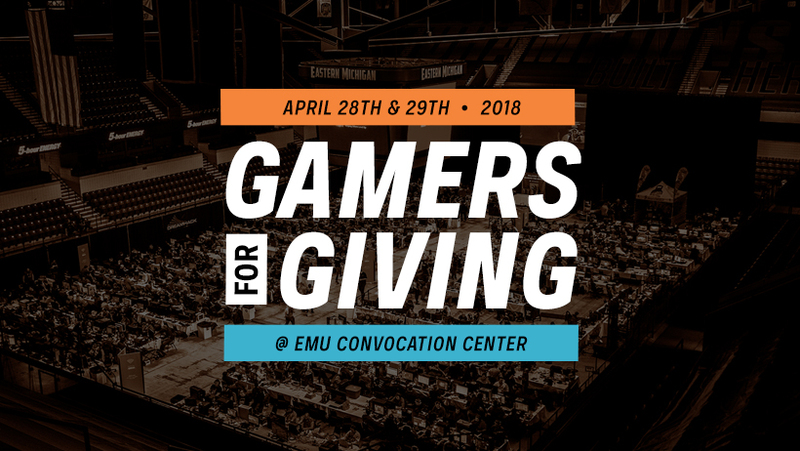 Gamers for Giving starts tomorrow!! For those of you attending on-site, doors for the venue will open at 9 AM (for VIPs) and 10 AM for general attendees / spectators. You can find a full itinerary of the day on the Schedule page of the website. Here are some of our remaining updates before the big weekend’s event! For those attending in-person, we’ve made a few updates to our tournament settings to reflect current competitive standards. In short..
We’ve clarified language to indicate SC2 will be using the current ladder map pool. More prize money has been added to the StarCraft 2 tournament (thanks to Winter). Brigitte will not be a playable Overwatch character. The Smash tournament will now start at 1 PM on Sunday. Players are welcome to warm up earlier. Participating in our LAN party? Be sure to reference this page for all the things you’ll need to bring! If you are having trouble finding the waiver provided with your registration email, you can print + sign the form from our info page here. There’s still a chance to grab passes for our console tournaments! You can register your team here. 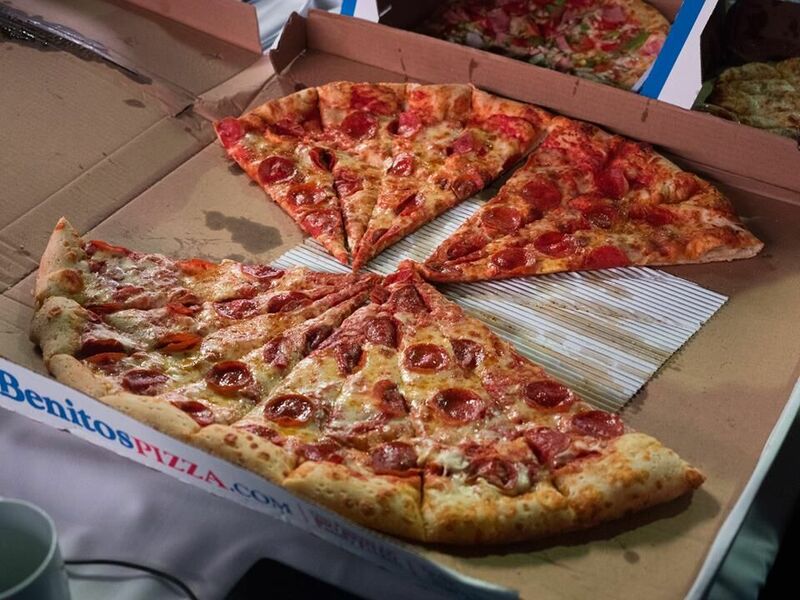 A list of our recommended food joints can be found here. We’ll have a wide array of streamers joining us at this year’s event. Learn all about our broadcast plans here. We’re looking forward to seeing you all this weekend!! Gamers Outreach was founded by a group of high school students with a passion for playing video games. 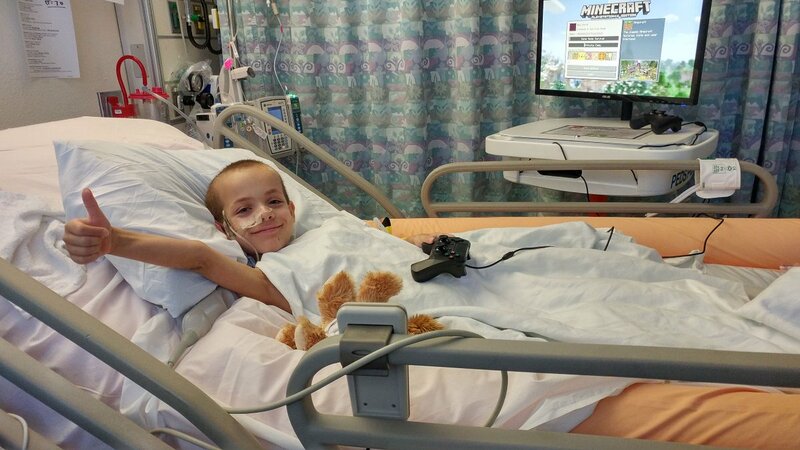 To this day, we identify as video game enthusiasts who’ve become part of a larger community eager to make a difference for patients in the hospital environment. An agency called 705 Hollywood was gracious enough to share the story of our organization, where we are today, and the hope we have for gamers to make a difference in the future. We hope to see you during this weekend’s event! We’re excited to unveil the 2018 Gamers for Giving tee shirt, created by our friends at Meta Threads! The shirt celebrates the 10th anniversary of Gamers for Giving, and pays homage to the incredible support our cause has received from the PUBG community. 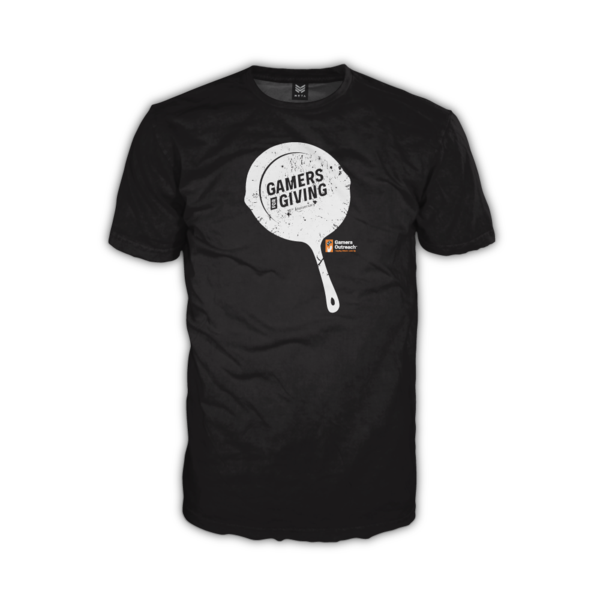 Featuring a pan imprinted with the Gamers for Giving word-mark, it’s the perfect shirt to wear while you cook up some chicken dinners. The tee is available exclusively through Meta Threads, and can be purchased here. 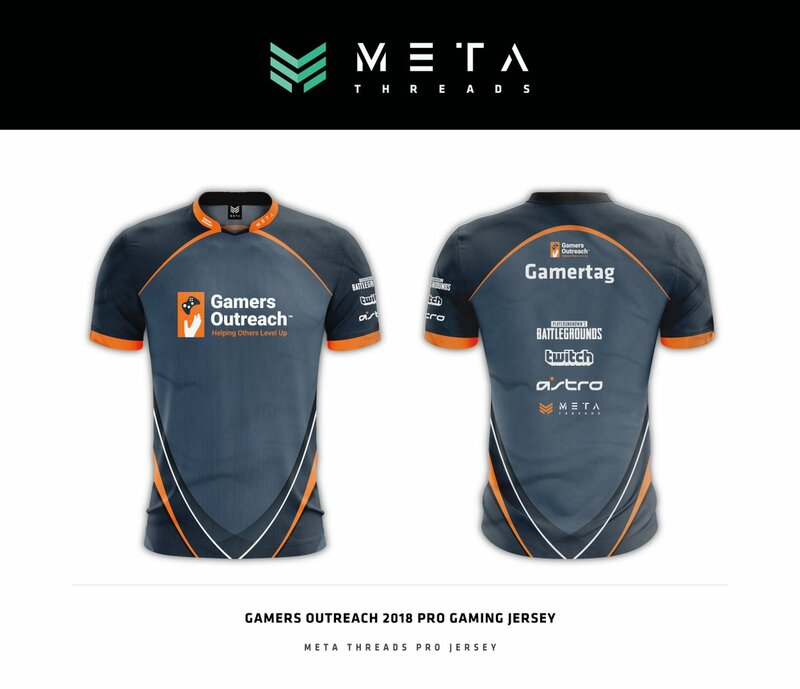 Not to tease, but we also have to share these incredible esports jerseys Meta Threads whipped up for Gamers Outreach staff and our stream guests. Will they be publicly available for purchase one day!? Who knows. But they sure do look cool. Huge thanks to Meta Threads for their support! 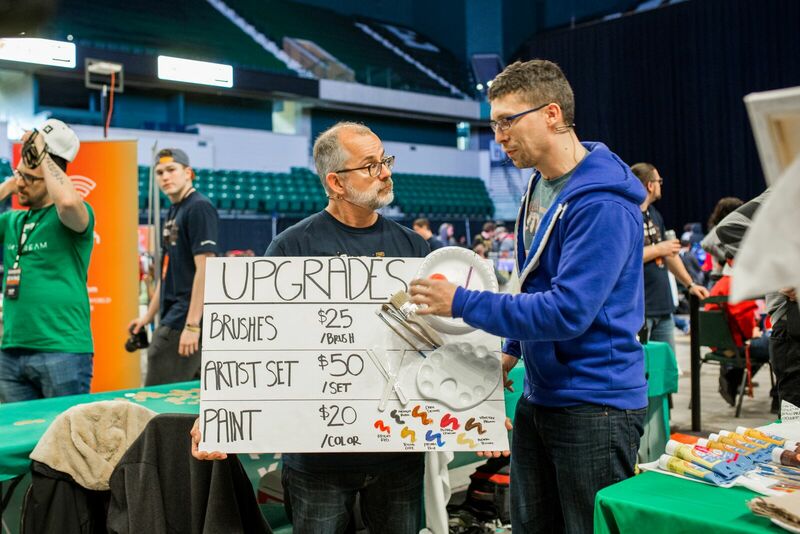 We’re proud to have them helping us level up our swag at this year’s Gamers for Giving! We’ll see you April 28th & 29th at the EMU Convocation Center! Huge news fellow gamers! 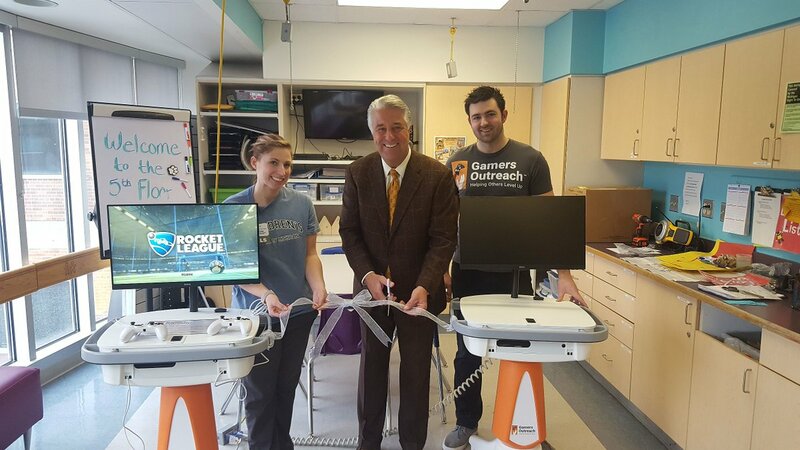 We’re ecstatic to announce our Metro Detroit Chevy Dealers have committed to building as many as 17 GO Karts for hospitals across southeast Michigan! This collective sponsorship from our local Metro Detroit Chevy Dealers will help us provide entertainment devices to thousands of hospitalized patients in our home state! 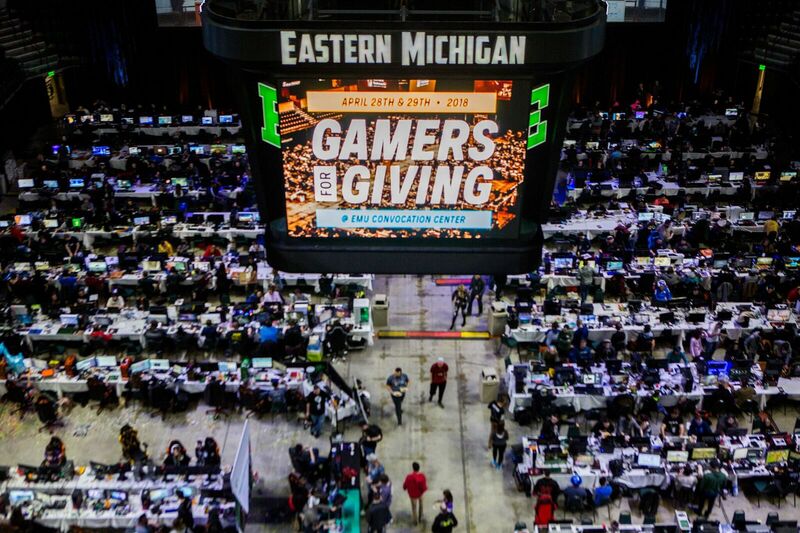 Southeast Michigan has a vast number of hospitals currently unsupported by Gamers Outreach initiatives. 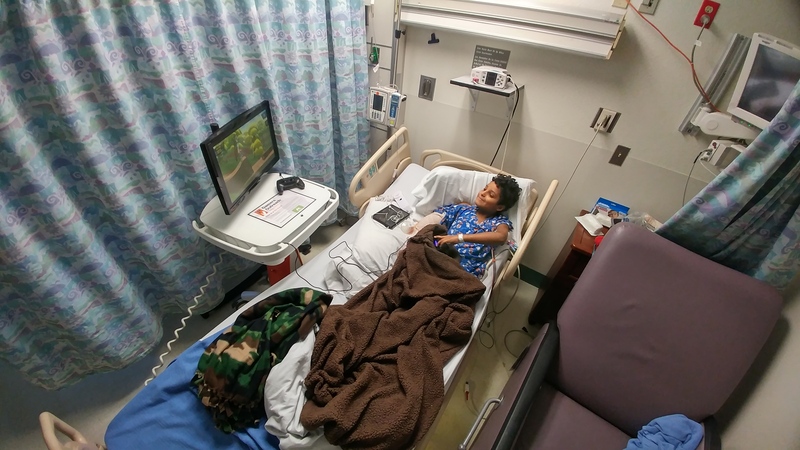 By our count, Detroit Medical Center, Henry Ford Health System, and Beaumont Health represent nearly 21 facilities serving patients who could benefit from the entertainment and therapeutic relief video games provide. 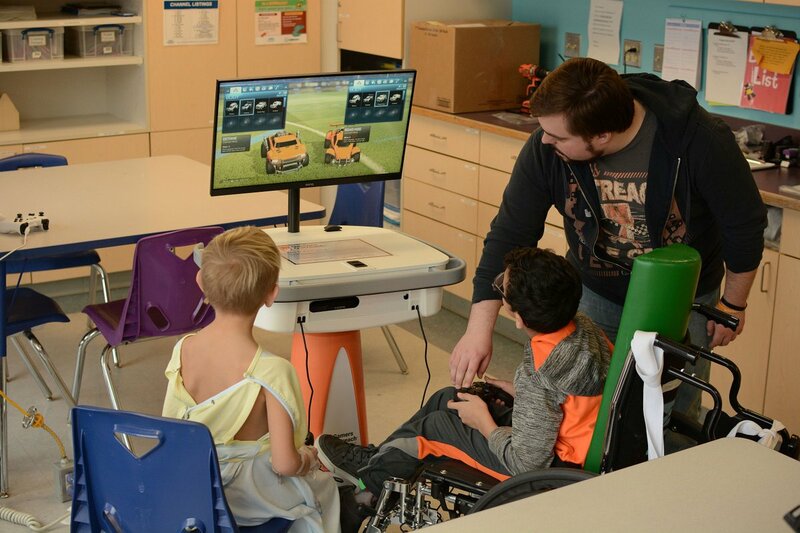 The impact of Gamers Outreach initiatives is heavily driven by our community of supporters, and we’re thrilled to work with our Metro Detroit Chevy Dealers to make video games accessible to children and adults being treated in Michigan hospitals. Gamers Outreach will be recognizing our Metro Detroit Chevy Dealers throughout this weekend’s Gamers for Giving fundraiser. We look forward to making an even bigger impact nationwide with the help of our community on April 28th and 29th! 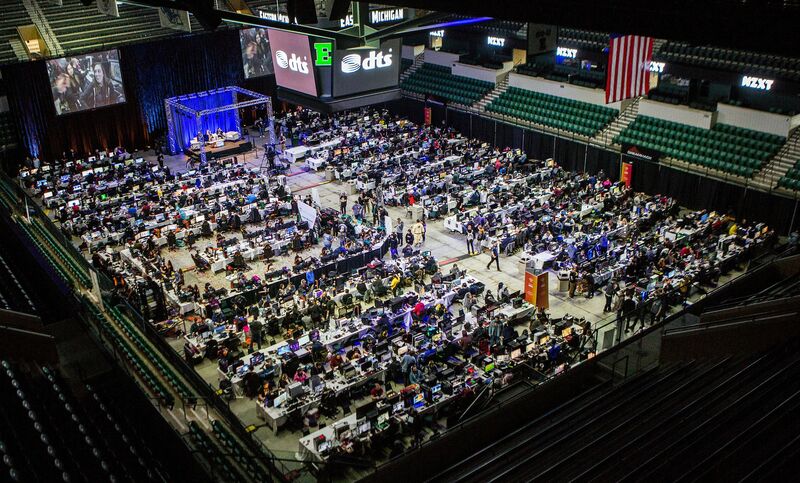 Hope to see you at the EMU Convocation Center, or online during the stream! Where would we be without Twitch? The Twitch community has collectively raised thousands of dollars for Gamers Outreach programs, as well as numerous other charities making an impact in the world. So many lives have been impacted thanks to this incredible platform, and we’re grateful to have the support of our friends at Twitch as we chase after this year’s $350K fundraising goal at Gamers for Giving. 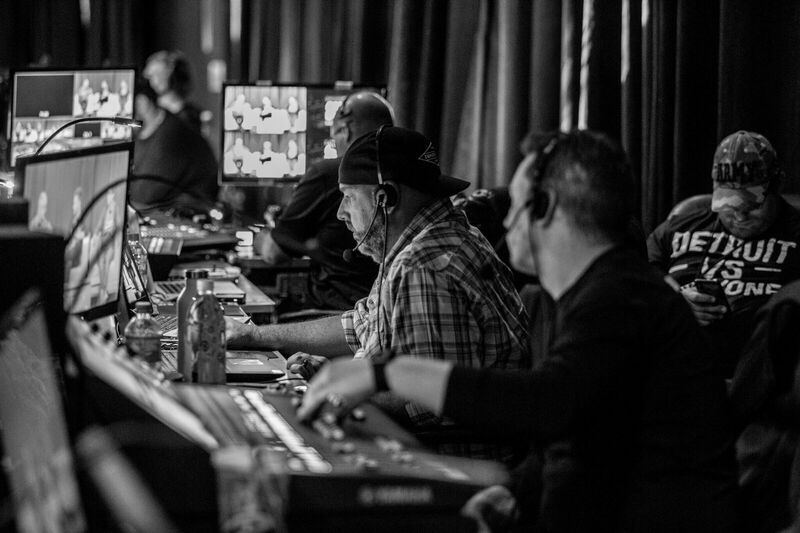 The main Gamers Outreach broadcast will take place over the course of Saturday and Sunday, from 12 PM – 8 PM eastern. Saturday’s content will feature a special PUBG tournament among our streamers, while Sunday will feature the third annual Bob Ross challenge – as well as a few special announcements as to what the future of Gamers Outreach has in store. Be sure to join the action over at Twitch.tv/GamersOutreach! We’re proud to work with Twitch as our official streaming partner of Gamers for Giving. We can’t wait to see you in the chat on April 28th and 29th! Our network engineers don’t get the credit they deserve. 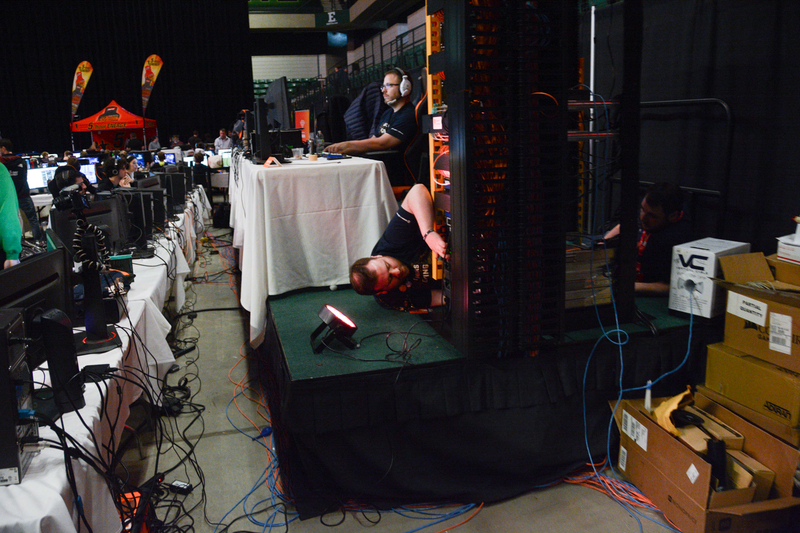 For months leading up to the event, a handful of individuals work behind-the-scenes to plan an extensive network infrastructure capable of allowing 1000+ people to game without interruption during the weekend of Gamers for Giving. This year, we’ve made a few improvements to our hardware thanks to our friends at ADTRAN. ADTRAN is a leading global provider of networking and communications equipment. Their products enable voice, data, video and Internet communications across a variety of network infrastructures. Many of their product solutions are currently in use by service providers, private enterprises, government organizations and millions of individual users worldwide. As anyone who has run LAN parties knows, network equipment for an event of our size can be quite expensive. 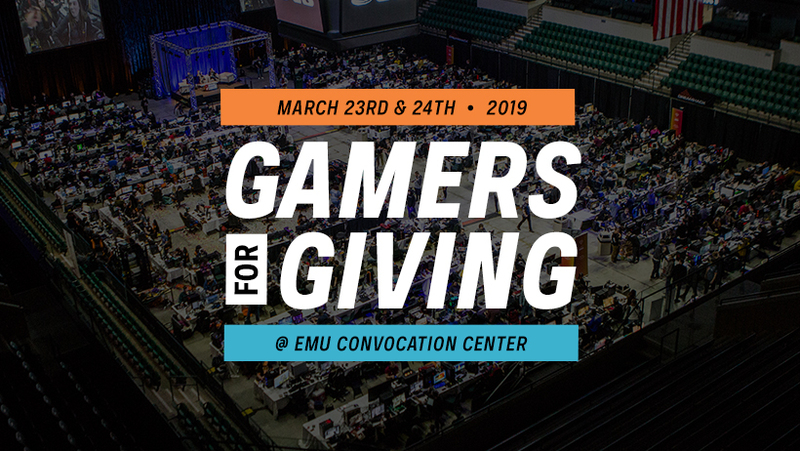 Thankfully, with ADTRAN’s support, we’re able to scale our hardware for the increased number of connections at this year’s Gamers for Giving without worrying about the budget. Be sure to give them some love on Facebook and Twitter. 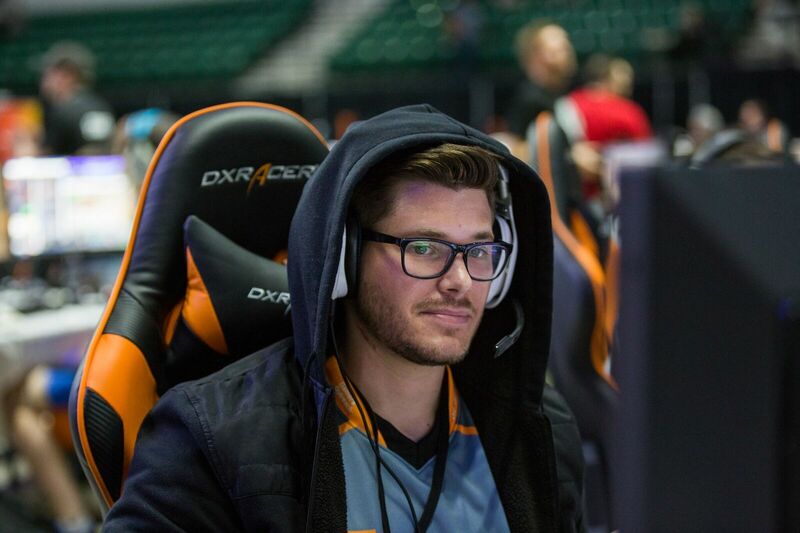 Their team has been a massive help in making our LAN event possible! 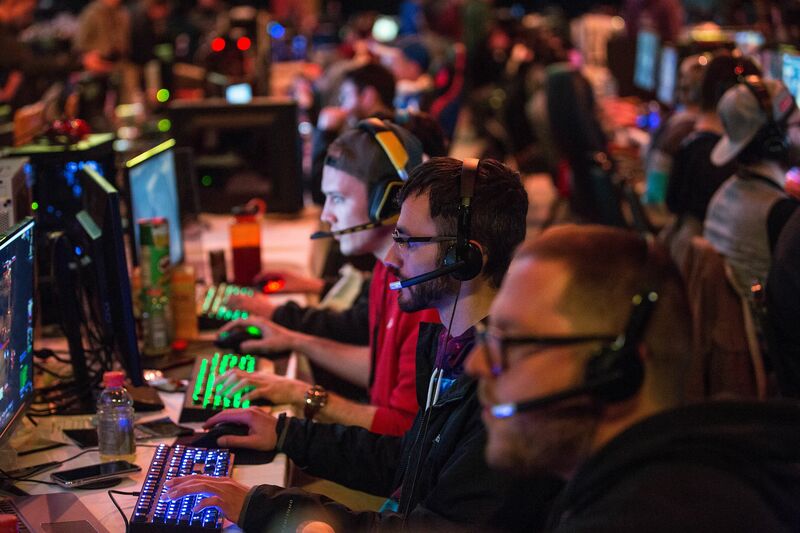 We’re looking forward to everyone enjoying a weekend of gaming at this year’s event! 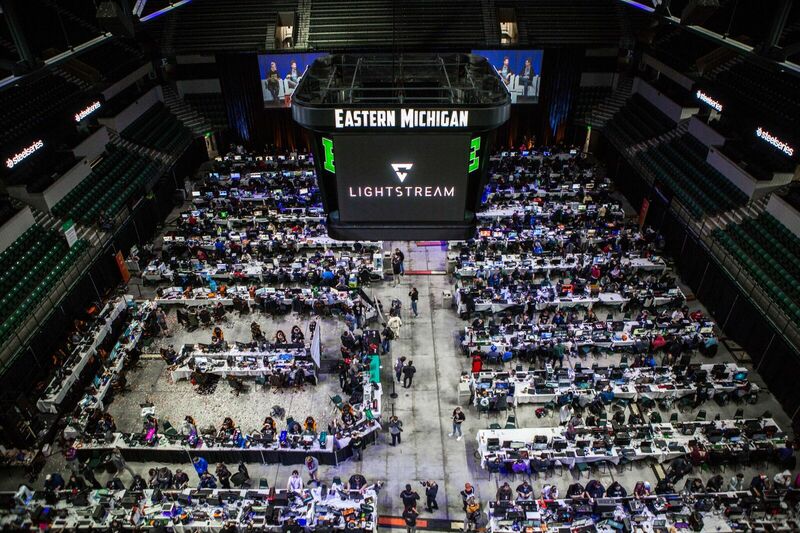 We’ll see you on April 28th and 29th at the EMU Convocation Center.